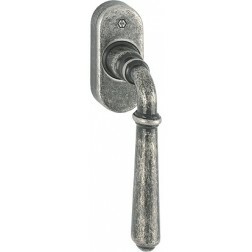 Tilt and turn window handle Hoppe Valencia series on oval rose. The Valencia series belongs to the Antiqua line Hoppe. 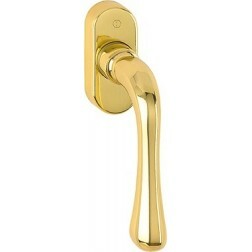 Valencia series built in solid brass with curved handle. The special processing of the handgrip characterize this series. 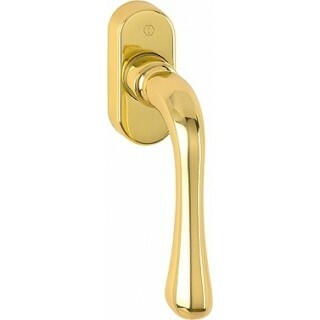 Available in classic shiny gold and all antique finishes. With Secustik technology this window handle protects your windows from external break-ins. Shipped boxed from the manufacturer.